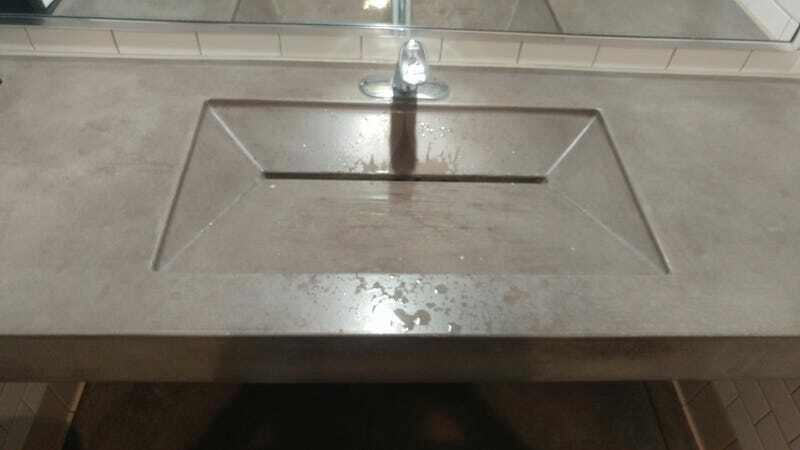 Here be a mens bathroom sink in a micro brewery. It’s not a place I goto often, but I’m familiar with its modern design. Yet of all days, why would today be the day that I wonder how many drunk d-bags piss into it?